Up until a decade or so ago, not many people recognized the Kia brand as a household name. However, the truth is that Kia has been in the transportation industry since 1944. Even though it’s gone through several iterations—from merely supplying parts to near bankruptcy—it’s now a company that can hold its own with its own line of cars. One of those models is the new 2017 Kia Sorento. The 2017 Kia Sorento is a crossover SUV. Though it sounds like a fancy term, it implies that this type of vehicle has the best of the vehicular world. SUV stands for sport utility vehicle. These types of cars are known for their off-road and recreational usage. Unfortunately, they are also known for their utilitarian nature and tend to provide a bumpy ride. The crossover, sometimes referred to as a CUV, is built on a car frame, giving the car a lower carriage and more stability. This model features available All-Wheel Drive for the adventurer in you. And the bigger the adventures you wish to seek, the bigger the engine can be to accommodate you. There are three available engine sizes: the 2.4-liter 4-cylinder, the 2.0-liter turbo engine, or the 3.3-liter V6 AWD. Even if you’re not adventurous, the Sorento can make you feel at ease. 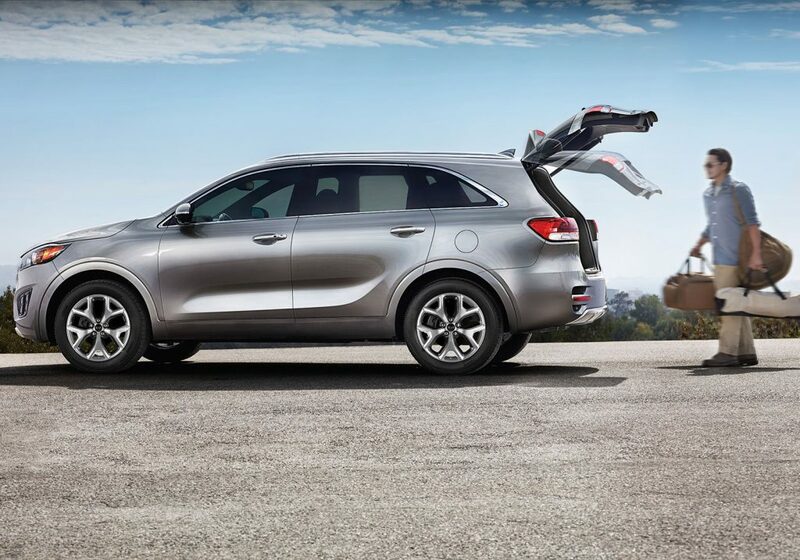 Both this and the previous year’s Sorento have been awarded as top picks for various safety awards because of their many features, including front and side airbags, anti-lock braking system, vehicle stability management, tire pressure monitoring system and child safety-lock doors. Kia is a company that has not only a breadth of experience in the auto industry, but also reputation for quality. The 2017 Kia Sorento is a culmination of everything you should look for in a vehicle: versatility, fuel economy, good looks and affordability. Visit us here at Scarboro Kia to find your next new car.